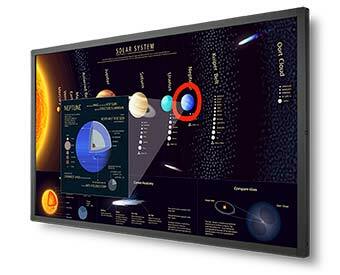 NEC has unveiled two new bundles designed specifically for K-12 and higher education and featuring large format displays. "Featuring NEC E651-T displays with 10-point integrated IR touch, an Intel NUC minicomputer equipped with a 256 GB solid-state hard drive, 4 GB of RAM and an Intel Celeron processor running Windows 10 IoT, the bundles offer the flexibility and power to run any compatible collaboration software," according to the company. The first bundle, the E651-SMS, comes with a NEC Display E Series 65" touch display, the minicomputer, a mobile display cart and an Isobar surge protector. The second bundle, the E651-MSMS, adds a motorized cart that makes lowering and raising the screen easier. The E651-SMS is currently available for $6,949. The E651-MSMS is available for $7,449. "At the heart of our market strategy is combining existing technology and using it to make educational content and collaboration more accessible," said Chris Feldman, NEC Display product manager, in a prepared statement. "We want to ensure that schools have value driven solutions to enable collaboration in the classroom. Our new interactive whiteboard bundles offer the flexibility to run any compatible software, including our DisplayNote collaboration suite."